Though the Internet is the main source of information, communication, and entertainment for most people, it’s difficult to not wonder just how safe it really is. Besides, all the convenience and comforts the Internet has to offer isn’t without a price. That’s right. When you use the Internet, you constantly have to face a plethora of threats against your privacy and that’s exactly where anonymous surfing can help – it enables you to surf online without exposing any personal information about yourself and having it logged by interested parties. Why Should You Surf the Web Anonymously? How Can You Surf the Web Anonymously? When the internet made its way to the Average Joe, it was a complete game changer that transformed our lives – mostly for the better. Finally, a place where knowledge was easily accessible to all and where one could share their opinions with the world and stand up for their beliefs! The privacy of internet users has never been in more danger than it is today. Internet Service Providers (ISPs), government agencies, advertisers, and hackers are increasingly interested in keeping track of your online activities and communications. The digital footprint you’re leaving (such as the websites you visit, the apps you use, the products you buy, etc.) can be tracked and recorded without you even having the slightest clue. Think not? Well, think again! By doing something as simple as visiting a website allows the operators to find out your physical location, identify your device, and use advertising cookies that collect information about your surfing habits. If you don’t like the idea of being watched online constantly, you’ve come to the right place. In this post, we’ll not only discuss the importance of anonymous surfing but also highlight the ways you can increase your privacy. To put it in layman’s terms, anonymous surfing or anonymous browsing is the ability to use the internet without being monitored or tracked. In other words, it’s somewhat similar to being a ninja of the cyber-world. 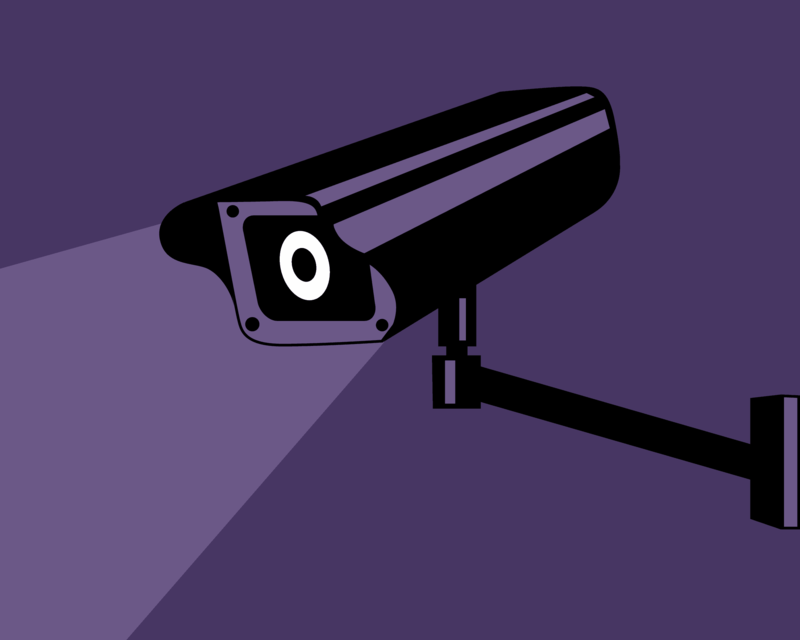 You’re silent, invisible and untraceable from the prying eyes that lurk around the internet. And if hackers, cyber-stalkers or third-party agencies can’t see you, how can they ever target you in the first place? For starters, anonymous web surfing has many advantages which you simply can’t overlook, especially in the dangerous cyber-world that exists today. Unable to access a certain website or service in your country? By going anonymous on the internet, you can evade all sorts of geo-restrictions and surf the internet with absolute freedom. This makes it easier than ever to view your favorite content (be it TV shows, movies, songs or anything else) from anywhere in the world, anytime you like! For most us, surfing the internet anonymously means protecting our privacy from unjustified surveillance. Take, for instance, you live in a country with restrictive internet policies. You’d probably want to keep your online activities concealed from the government if you’re visiting websites or using apps that are prohibited. When you surf the internet anonymously, you can hide your activities and keep the government and third-party agencies from monitoring everything you do online. Moreover, your IP reveals a lot about you and can be used against you. For example, your IP can be used to locate your city or even your neighborhood. However, it cannot give away your exact location. Also, Internet Service Providers (ISPs) can track your online activities through your IP and sell your browsing habits to the highest bidders. With your IP hidden from the world, it’ll be next to impossible for cybercriminals, stalkers, or hackers to target you, leaving you protected from most online threats. Here’s more about how to hide your IP Address. 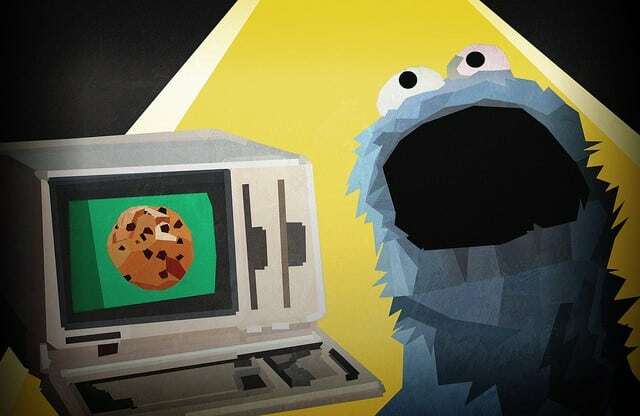 Delete or block third-part cookies by heading into your web browser’s Privacy settings. This will stop some of the tracking, but you won’t be completely anonymous. Some websites use super cookies which are stored permanently on your device so they can collect information about your browsing history. To get rid of all cookies, we’d recommend using the free CCleaner tool as it clears both regular and super cookies. However, since some sites track you via third-party cookies, you may have to sign in every now and then! Related Read: How to Delete Cookies Automatically at Browser Exit? Did you know that search engines like Yahoo, Google, and Bing collect and store all of the information you give them? For this reason, it’s best to use alternative search engines, particularly those that are privacy-focused. 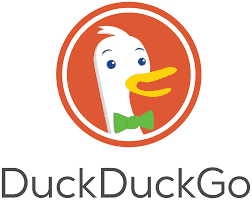 Search engines like DuckDuckGo don’t profile users and neither do they track or sell your information to third-parties. While you may be inclined towards using your browser’s private browsing window, it’s important to know that it won’t keep you anonymous online. It only prevents your browser from storing information about you, but it still does get recorded somewhere, right? Here’s more about how private browsing works. A Proxy site or server will mask your IP address and other vital information that could be used against you by assigning you a different IP address. Since your IP is hidden, no one can monitor your online activities. Furthermore, you can also access any websites or services that might be blocked in your country or region. All you’d have to do is connect to a server in a different country where that content is not blocked. The major downside to a Proxy service is that while you might be hidden from everyone else, but you can’t expect the same from the proxy service you are using. Since majority of the proxy services are free, you can’t say for sure that they don’t monitor and sell your private data. Another downside of using a proxy service is that these services come without any security guarantee. In other words, proxy services offer only anonymous IPs but not online security that usually comes in the form of encryption. 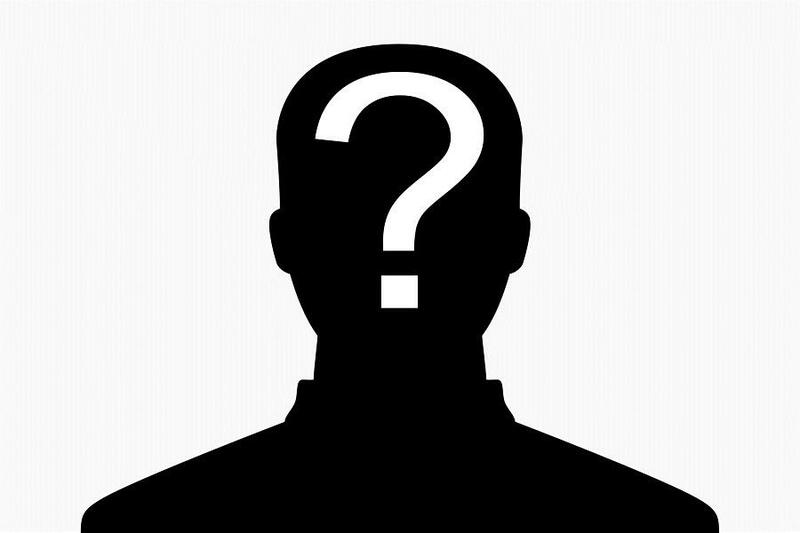 Due to the lack of online security and the absence of any privacy guarantee, proxy services are not the recommended option for anonymous surfing. When it comes to surfing the internet with complete freedom and anonymity, a VPN is your best option as it hides your digital footprint. 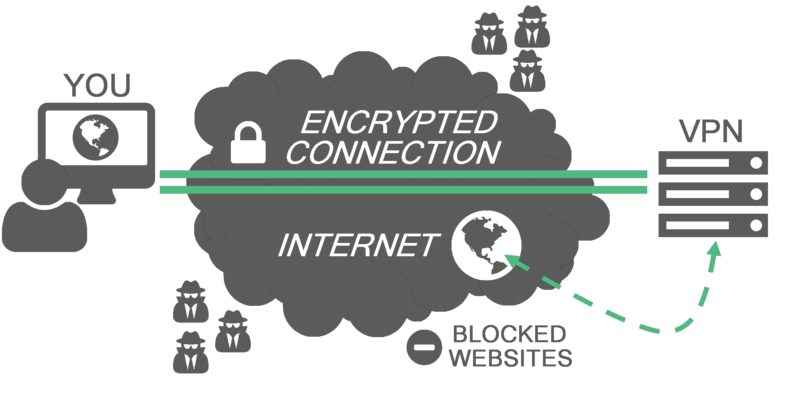 A VPN encrypts all the data you transfer over the internet, making you invisible from prying eyes. And very much like a Proxy server, a VPN hides your online activities by changing your IP address. 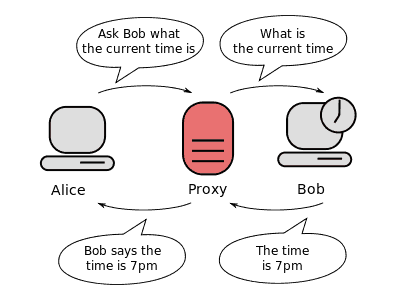 It connects you to a server in a different country with a different IP, stopping all would-be intruders from watching what you do online. However, a VPN offers a lot more than just a Proxy server. A fully-fledged VPN service, like PureVPN, comes equipped with useful features such as military-grade encryption, NAT Firewall, and enterprise-grade security that makes it the best tool for your online privacy and security. Hide your online activities with our Anonymous VPN! The world we live in today requires us to be cautious at every step we take. After all, each time we surf the internet, we leave a massive digital footprint behind. These digital footprints can be exploited by hackers and cybercriminals in various different ways. Moreover, our online surfing habits can be stored by ISPs, which is then sold to the highest bidders or handed over to law enforcement agencies in case they require it to conduct their investigation. This is why it’s extremely important nowadays to be a silent and anonymous on the internet. If you surf the web without letting anyone notice you, rest assured that trouble won’t come knocking at your door anytime soon!